Home Construction, Asheville, NC | Off Duty Fireman Construction Inc.
'); // });Home Construction, Asheville, NC | Off Duty Fireman Construction Inc. Call us today if you need home construction services in Asheville. Building a new home is a big project. Although it may seem overwhelming to many people, it really can be an incredible way to get the perfect home for you. 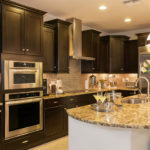 Home construction takes time and requires a dedicated team, but you will find that if you hire us, it can also be an exciting thing to be a part of. We can help you enjoy a beautiful home built just for you, and we can also minimize the headache that is often involved in the home construction process. At Off Duty Fireman Construction Inc., we offer unique services for home construction. Most contractors are very small and hire many subcontractors to do various aspects of the building project. This can become very cumbersome and it is not at all efficient. When coordinating that many different subcontractors, there are often scheduling issues and problems with quality control. Unlike many other contractors, we have a company of highly capable employees with a vast array of knowledge and skill. We complete home construction projects by hiring much fewer subcontractors because we’re able to do so much of the work ourselves. This helps us stay on schedule better and helps us to verify that you are getting the highest-quality results. Call us today if you need home construction services in Asheville, North Carolina. Our customers are our number one priority, and we want to make sure you are fully satisfied from start to finish of the project. We will be here to help you all along the way. At Off Duty Fireman Construction Inc., we offer home construction services in Asheville, Waynesville, Hendersonville, Black Mountain, Arden, Maggie Valley, Charlotte, Lenoir, Hendersonville, and Winston-Salem, North Carolina.